Hi sweet friends, I hope you are having a great weekend! and thanks so much for coming to partay! #3 ~ Have you even seen crystal chandeliers on the front porch?! Check out these amazing homes at Victorian Wanna Be's historic town home tour! 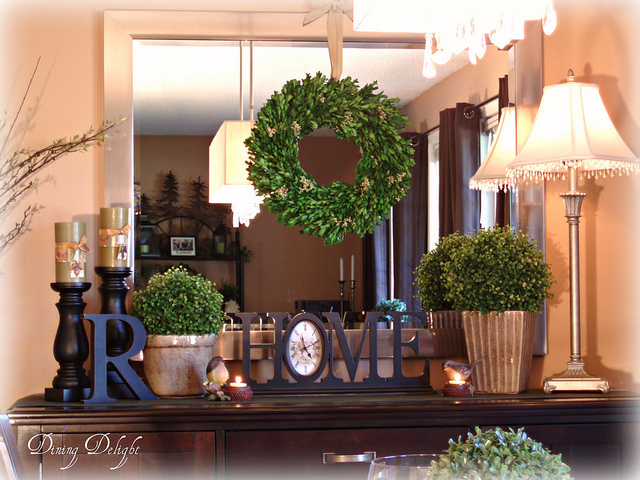 #2 ~ If you like pretty dining rooms you'll love Dining Delights bonding with boxwood. #1 ~ You've heard of "shopping your house", right? Well Fabby shopped her house and you are sure to love her before and after chandy! Thanks for hosting, Cindy! Have a great week!! Gorgeous features, Cindy! Thanks for hosting! Beautiful features, Cindy! Thanks so much for hosting Amaze Me Monday. Thanks so much for hosting each week and thanks so much for always stopping in and leaving such kind remarks!! Cindy, these are incredible features. Thanks for hosting each week. Oh goodness dear Cindy...I am so totally honored to be featured, here, at your great party, MAZE ME MONDAY!!! I'm also excited to be next to those wonderful features too! You are a very generous lady. Thank you again for hosting, and for having me again this week! Have a lovely week, sweet lady. Hi Cindy! Great party and thanks for hosting. Hope you've had a nice weekend. I have to check out that amazing Victorian front porch! thanks so much for hosting, Cindy! Hi Cindy! Thank you for featuring my Illinois Historic Homes Tour post, how exciting! Thanks! Cindy, lovely features. Thanks for hosting and hope you have a great week. I was so surprised and honoured to see you had my Bonding with Boxwood post featured here! Thank you so much! I'm flattered to have been chosen from so many fabulous entries. 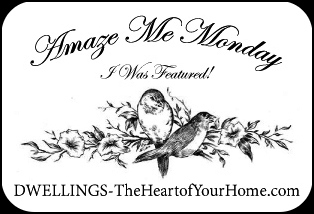 I always enjoy your Amaze Me Monday Party and I thank you for hosting! Hi Cindy- Thanks so much for hosting, and for the invite! Lovely features here too! Thanks for hosting. The features are amazing. Having a chandelier on the front porch? What a dream! Looks like great features, I'll have to check them out. Have a great week, Cindy. Cindy, thanks so much for hosting and for letting us show off! Have a blessed week! Hi Cindy, thanks for hosting, love joining in. Great rooms to study in todays features. As always, thank you for hosting your weekly party. This week's features are all so great. I especially liked the boxwood dining room. Love all the feautres especialy Fabby's room! Thanks for hosting Cindy dear! Hi, Cindy! So very glad to be joining you this week! Thank you! Imagine a chandy on your porch! Such a treat for my eyes today here Cindy! Pretty! Such a pretty boxwood mantel. Thanks for hosting! a link...........looks very beautiful and interesting. Looks like you are gonna have your hands full with a kitchen remodel........a lot of fun and anticipation tho.